Cardio exercise helps you lose fat from all over your body. You could make a fortune if you invented a pill or workout program that could remove fat from women's arms, legs and back while leaving their cleavage full. Unfortunately, no pill or workout can cause you to spot reduce so you lose fat from just a few problem areas. Your body chooses the areas from which it burns fat on the basis of your age, gender and genetic makeup. To lose fat from your problem areas, you must lose overall body fat. By lifting weights, you can tone and shape your belly, leg and back muscles so they look firmer and more compact in swimsuits or revealing outfits, even as you're losing overall body fat through exercise and diet. Consume 500 to 1,000 fewer calories than you expend each day to lose weight. Simultaneously increase the amount you exercise and reduce the amount you eat for overall fat loss. Create a well-balanced eating plan, emphasizing fresh fruits and vegetables, lean proteins, whole grains, nuts and seeds. Avoid fad and starvation diets, as they may cause you to lose muscle instead of fat. Do two sessions of strength-training and at least 150 minutes of moderate-intensity or 75 minutes of high-intensity cardio per week to maintain your fitness. 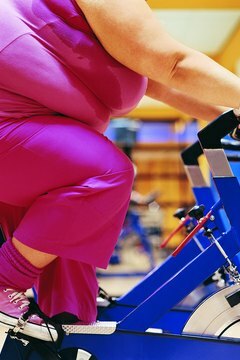 The Centers for Disease Control and Prevention recommends that if you are not losing weight, you may increase your weekly amount of cardio to 300 minutes. Perform exercises for your rectus abdominis and oblique muscles to shape and firm your stomach area. 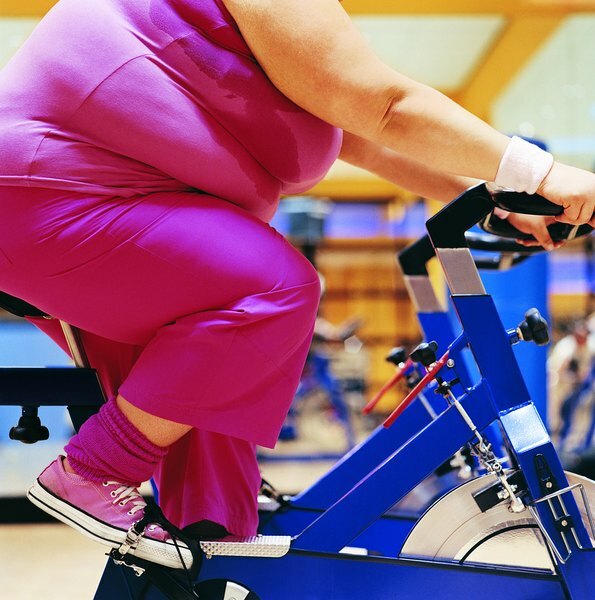 According to the American Council on Exercise, the most effective abdominal exercises are the bicycle maneuver, captain's chair bent leg raises and exercise ball crunches. Choose weights you can lift between eight and 12 times with good form to build muscle mass. As well as firming and contouring problem areas, strength training increases your metabolic rate because muscles are more metabolically active than fat. Shape and firm your legs with body-weight exercises such as lunges, squats and side lunges. Hold dumbbells in your hands as you do leg exercises to increase the intensity of your workout. Improve the muscle tone in your back with body-weight exercises such as dips and pullups, or do lat pulldowns and seated rows on a cable machine at the gym. Do high-intensity intervals to increase fat loss during cardio workouts. 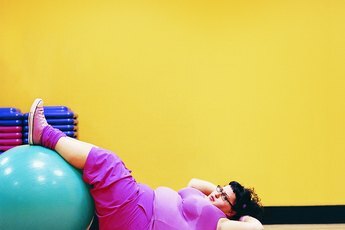 Consult your health care provider before starting a new workout or diet program if you are over 40 years old, obese or have an existing medical condition.